There was a time, not so long ago, when smoking was allowed just about anywhere, including on airplanes and even more recently, inside restaurants. Car manufacturers even included ashtrays and lighters inside their vehicles until just a few years ago. UPDATE | The Greeley City Council voted unanimously Tuesday evening to extend an existing smoking ban to outdoor spaces. The expanded ban will apply to playgrounds, covered pavilions, skate parks and sport courts. GREELEY, Colo. -- There was a time, not so long ago, when smoking was allowed just about anywhere, including on airplanes and even more recently, inside restaurants. Car manufacturers even included ashtrays and lighters inside their vehicles until just a few years ago. So, where can you smoke today? In Denver, smoking is banned indoors and even some outdoor areas like swimming pools. In Greeley, the ban on cigarettes could soon extend to outdoor spaces as well. 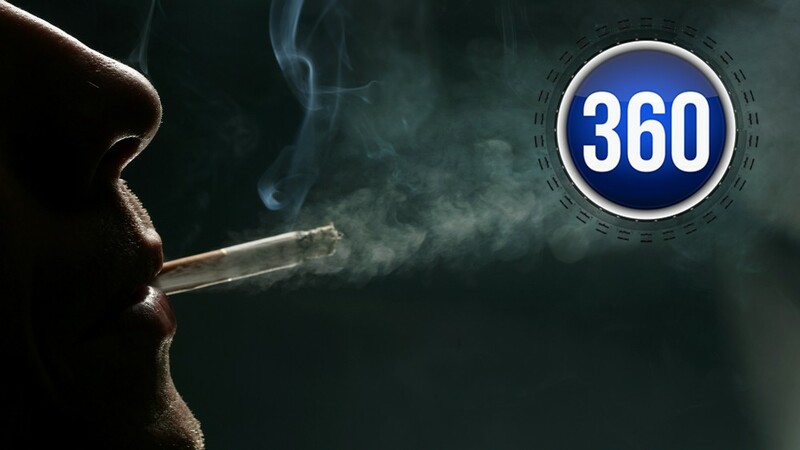 That has us taking a 360 look at smoking and what smokers and non-smokers alike said might be a surprise. “Personally, I do smoke in the park," said one man smoking in Greeley’s Lincoln Park. Standing at Aven’s Village, Andy McRoberts, the director of culture, parks and recreation for the city of Greeley, told Denver7 about a recent visit to the city’s new $1.3 million playground and explained how what he saw practically took his breath away. "There were some parents on the playground smoking and it just didn't feel right," McRoberts said. That put the wheels in motion and the city started considering a smoking ban in public places. "This is an expansion of our smoking prohibition to include some outdoor areas," McRoberts said. Debbie Stewart is a grandmother whose husband smokes. But, she says, given the overwhelming research about the health effects of second-hand smoke, her husband doesn’t smoke around their grandchildren. "Adults shouldn't be smoking around children,” Stewart said. “The second-hand smoke is bad. I know my kids had a lot of ear infections when they were younger because of being around second-hand smoke before we knew about that." Vietnam veteran and former smoker Gilbert Martinez agrees. Others say there is an argument for smoker rights. "I think it's your right to smoke,” said Tom Lewis. “I mean, it's not good for you, but it's your right if you want to smoke." Lewis says it is his right, but he also feels a sense of responsibility to be aware of his surroundings. And perhaps surprisingly - that's the sentiment we found among most smokers. Roy is a smoker who supports the ban. Greeley already has a ban on smoking at ball fields like Butch Butler, swimming pools and at the Greeley Stampede's Island Grove Arena. The expanded ban would apply to playgrounds, covered pavilions, skate parks and sport courts. "All of our outdoor sport courts would be included, like basketball and tennis," McRoberts said. McRoberts said there's certainly a precedent for this, with similar bans in cities like Ft. Collins, Wheat Ridge and Arvada. "I'm neutral about it, I would say," said a smoker. “You could just go smoke on the sidewalk or somewhere. I would abide by the laws and everything if they passed it."